News Americas, NEW YORK, NY, Fri. Nov. 30, 2018: Here are the top headlines making news from across the Caribbean for today, Mon. Dec. 3, 2018. The Governor of the US Caribbean island territory of the USVI, Kenneth Mapp, has ordered the Territory’s flags to be flown at half-staff as tribute to the US’ 41st President, George H.W. Bush. Mapp, in extending condolences Saturday morning on the passing of the US President at age 94, remembered him as a statesman and a true patriot. Governor Mapp said he would order the Territory’s flags to be flown at half-staff in accordance with the Federal directive. The White House also announced Saturday that December 5, 2018 would be recognized as a National Day of Mourning for the late President. On Dec. 1, 2018, the world again paused to remember World AIDS Day. Here are five fast facts you should know as it relates to HIV in the Caribbean. 1: There were an estimated 310, 000 people in the Caribbean living with AIDS as of 2017, the latest data available. But only 230,000 actually know their status. 2: 15,000 of those cases are new. 3: 10,000 people died from AIDS-related diseases in 2017 in the Caribbean. 4: 181, 000 people in the region are accessing treatment. 5: As of 2017, there were 110,000 children across the region who were orphaned because of AIDS-related deaths. Meanwhile, 72 people are reportedly living with HIV in the Cayman Islands, health officials said. Caribbean American political trailblazer, Shirley Chisholm, the daughter of Caribbean immigrants who died in 2005, is set to have a statue in her honored erected in New York City statue. “Congresswoman Shirley Chisholm’s legacy of leadership and activism has paved the way for thousands of women to seek public office,” city First Lady Chirlane McCray said, noting that a sculptor will be selected as part of the She Built NYC project to create more statues of women. The statue will be erected in Brooklyn’s Prospect Park in 2020. The news comes as the Oscar-winning actress Viola Davis has been picked to portray the history-making Brooklyn politician in a film from Amazon. The Associated Press reported that “The Fighting Shirley Chisholm,” starring Davis, will be directed by Maggie Betts for Amazon Studios. The announcement was made on Chisholm’s birthday, Nov. 30th, which was also the independence anniversary of the country of her mother’s birth, Barbados. Caribbean-born, Jamaica national, Dalton Harris, 24, had been named the winner of the 2018 UK X Factor. ABOUT: News Americas Now News Network is a newswire covering the Americas – the Caribbean and Latin America and its Diasporas, with syndication on Google News, Apple News, across 21 plus news sites including on the Caribbean Today in Florida, on Irie Jam radio in NYC and on Social Media – Facebook, Twitter, Instagram and Linked In. 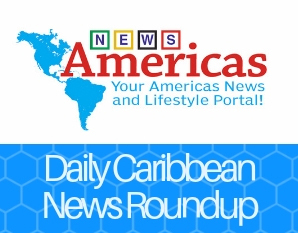 The post Caribbean News Roundup – Dec. 3, 2018 appeared first on Caribbean and Latin America Daily News.